Recycle empty Cartridges and old mobile phones. Go to the recycle4Charity website link to ask for envelopes / desktop box. Ask your friends and work colleagues to bring in their old injet cartridges! 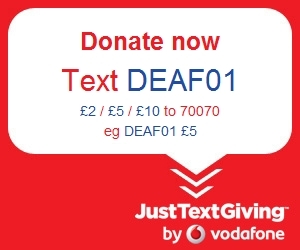 Click here to Recycle your empty injet / lasers cartridges and old mobiles to raise money for DEAFvibe !